Welcome to Paths to Potential. 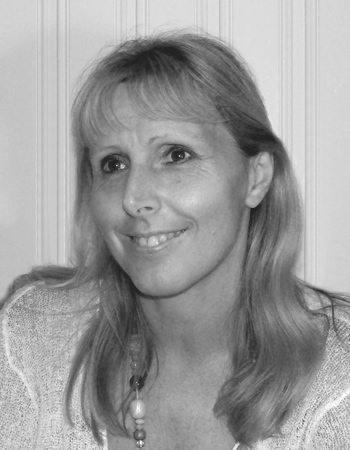 My name is Liz Saunders and I am a medically qualified Cognitive Behavioural Psychotherapist working in private practice in the Pulborough and Horsham area. If you are looking at my website because you are currently experiencing emotional difficulties and are thinking about getting some professional help, then I hope you will find my website both useful and interesting. Cognitive Behavioural Therapy, also known as CBT, is a type of 'talking therapy'. Talking therapies can be helpful for a wide range of emotional problems and may be a suitable alternative to treatment with medication for some people. In some situations, talking therapies may be used together with medication prescribed either by your GP or a specialist, depending on the nature and the severity of the problems you are experiencing. It can be quite difficult knowing where to start when trying to decide which 'talking therapy' might be suitable for your particular situation – there are many different types of counselling and psychotherapy available in the private sector and many different types of therapist. Some therapies such as counselling are relatively brief and focus on problem-solving and the provision of emotional support to the client by the counsellor. Others such as psychoanalysis and psychodynamic psychotherapy are more in-depth interventions which tend to focus on experiences and relationships that occurred during childhood and which continue to cause emotional problems for the client in their adult life. These types of therapy may continue for several years. On the other hand, CBT is usually a relatively short-term type of therapy which focuses on emotional disturbances which are occurring in the 'here-and-now'. It is more than just problem solving however because it identifies patterns of unhelpful or 'distorted' thinking which often recur over time and which lead to emotional difficulties such as anxiety, panic, phobias, depression, stress and many others. The aim of CBT is to show you how to identify this unhelpful thinking and how to overcome it by considering alternative ways of looking at the situation which is causing distress – in very simple terms 'getting things into perspective' – and then helping you to develop new coping strategies. CBT is practical and pragmatic but at the same time accepting of the strong emotions that people experience when they are distressed. Expression of emotions such as anger, anxiety or sadness, is not seen as a 'weakness' but as an understandable reaction to the unhelpful thinking patterns, and of course, once the thinking patterns are changed, then the emotions begin to change too.